Looking for more resources to help you flip your classroom? 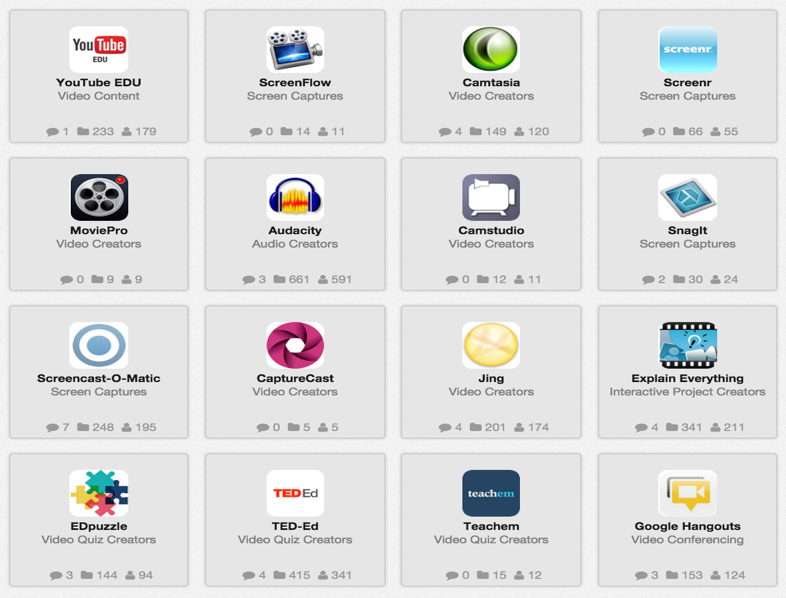 Here are a set of teacher-tested tools that can aid in video capture and editing, digital storytelling, and organizing all of your online materials. A popular open source learning management system that now offers cloud hosting, for free! Cut out any section of a YouTube video you'd like to share with students and colleagues. Take a picture, then record a yourself speaking and drawing on the picture. Good for how-to videos. Create stories using easy drag & drop controls, voice recordings, stickers, emoticons, and more. This is curated by assistive technology specialist Tandra Ericson. This one is curated by assistant professor and teacher-librarian Dr. Joyce Valenza.